Canada is one of the best places to go when planning to go for a vacation either with friends or family. The country has a lot of popular vacation destinations and one of them is Quebec. This location is not only special because of its location but also the kind of enjoyment that it can offer to tourists and guests. Quebec is Canada’s largest province that has a lot of barren areas that is thinly populated. This allows you to spend more time with nature away from the hustle and bustle of the city. It provides a great escape from the city life. The beautiful landscape and its vast barren stretches let you experience tranquility. There is a variety of outdoor activities that you can enjoy. The most ideal time of the year to visit Quebec is during the summer. It is during this time of the year where you can experience the best climate tempting you to walk on the cobble-stoned streets, shop around, or climb on mountains if you are the adventurous type. 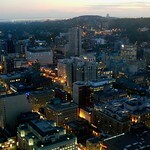 There is a line of activities to indulge in and various interesting places to go while in the city of Quebec. Nature lovers can find paradise in the parks as well as wildlife areas. Those who love to hike, canoe, mini-raft, or watch moose should not miss the Parc National de la Jacques Cartier. When you want to bond and connect with nature, you can go to the Portneuf and the Laurentians Wildlife Reserves where you can fish, hunt, or have a relaxing and comfortable camping experience. If you love bird watching, you can visit tidal marshes in the region of Côte-de-Beaupré. There are thousands of snow geese to see especially during spring. If you simply want to have fun outdoors, then you can take an exciting trip into the shores of Lac Saint-Joseph that is renowned for the outdoor activities it can offer during summer including canoeing, climbing, and swimming. During the winter, the most common activities you can try are dog sledding, ice fishing, and snowshoeing. If your interest is art and history, you can also find a lot of places in the city including the 4.6 km of walled ramparts around Old Quebec. Alternatively, you can go to Artillery Park or Gibraltar of the Americas. You also can see the Royal 22e Regiment Museum. You will surely be fascinated by the multimedia exhibition where you can relive the colorful history of the city as witnessed during the Odyssey. Another great place to go while in Quebec is Battlefields Park. 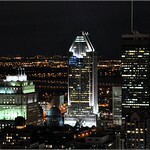 The city of Quebec is one of the finest destinations for vacations. It is a combination of old history and modern metropolitan living that offers something for anyone who comes to visit and stay in the city. With so many places to go such as scenic parks and stunning landmarks, you will find a grand vacation in this city. The next time you plan for a relaxing holiday, make Quebec City your destination. You will surely have a wonderful time while in this beautiful jewel of Canada. Written by Car Rentals Toronto – a fantasic place to get the best deal on Toronto car rentals!